Our heroes arrive the scene after having followed the trail of Jack deWeez in order to collect the bounty on him. 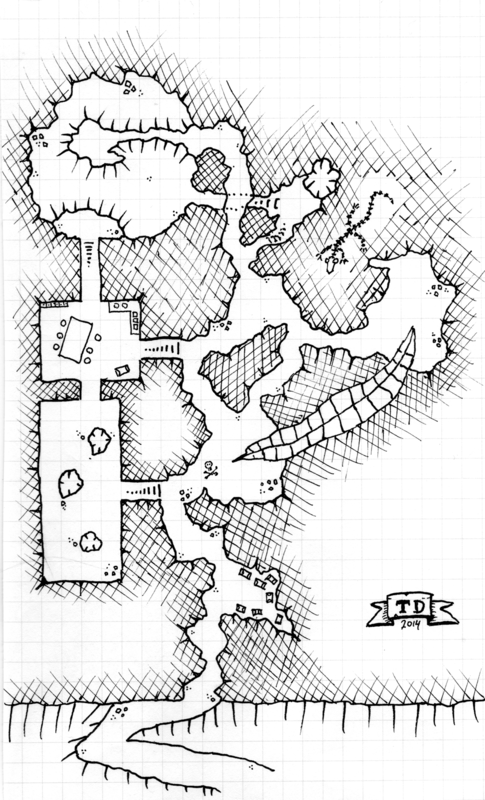 While they’re settling in the bushes outside the cave to discuss how to go about the job, they suddenly see Guttgutter and his rather mean gang stealthily approaching the hideout, blades drawn and dripping with poison. They’ve been beaten to it! What happens now is anyone’s guess!? Will the heroes sound the alarm so deWeez can have a better chance at fighting off Gutgutter? Will they ambush the ambushers, to get a chance at collecting the bounty on Gutgutter as well? Or will they just sit tight and let the bandits have at each other? What if Gary Gutgutter pulls it off and gets away with all the loot through a secret exit?